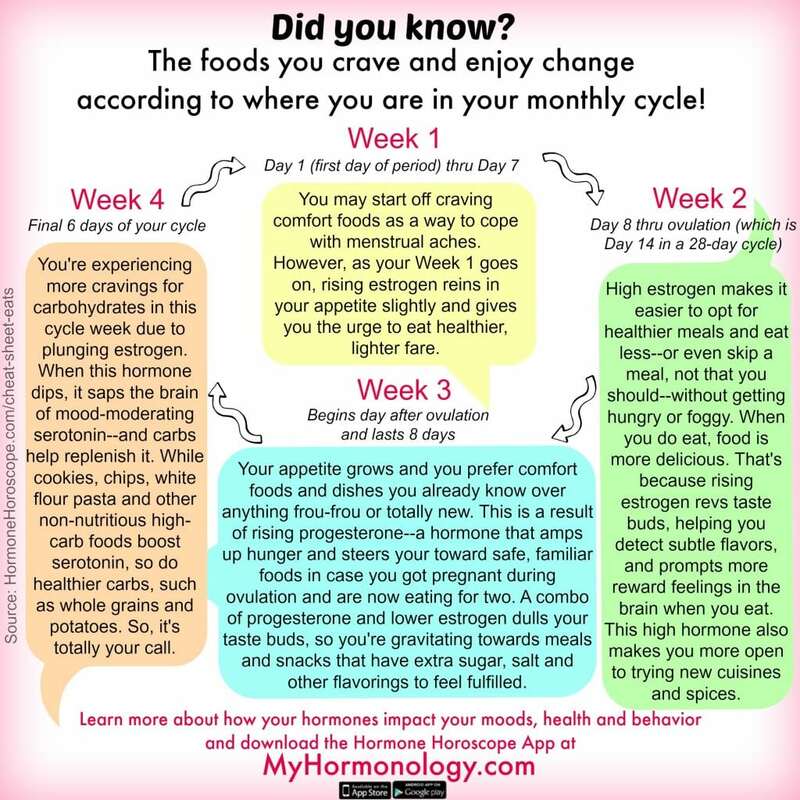 Hormonology Cheat Sheet: The foods you crave and enjoy each week of your monthly cycle! Ever wonder why some days you’re inhaling chips, cookies and other junk foods like it’s your job, yet other days all you want to eat is a healthy salad? A lot of it has to do with your hormones! As your estrogen and progesterone rise and fall throughout your monthly cycle, these hormones impact your hunger, cravings and enjoyment of foods. Here’s a Hormonology Cheat Sheet that gives you a quick summary of what you can expect from your food habits each cycle week.